They make it look easy. You know the instructors who get in front of a group exercise class day in and day out, talk while exercising and never seem fatigued in the slightest. Sure, they sweat, but once class is over, they look like they could go another round — and sometimes they do. Then there’s the regular gym-goers, the ones who rarely miss a day in the gym — the ones you aspire to be but life just won’t cut you a break, or you just don’t have that same motivation. Most Hoosiers know they should do about 30 minutes of aerobic exercise a day and two days of strength training. However, sticking to the Department of Health and Human Services recommended guidelines is challenging as life often interrupts even the most well thought out plan. Indiana’s obesity rate reflects just how little exercise Hoosiers get on a regular basis. According to the data from The State of Obesity, 33.5 percent of Indiana men and 33.7 percent of women are obese. African-Americans have the highest obesity rate at 42.2 percent. Whites are next with an obesity rate of 32.1 percent, and 28.2 percent of Latinos are obese. To combat these numbers, many employers offer rewards programs for participating in healthy lifestyle activities such as free biometric screenings, onsite wellness clinics that serve employees and their families, discounted gym memberships and onsite fitness centers. Making exercise fun is key to building a fitness routine, experts say. Thirty minutes a day and strength training may seem overwhelming if you haven’t exercised in a while. Gradually build up to your target with exercises you enjoy. In addition to starting small, fitness advocates suggest having accountability partners to keep you on track. 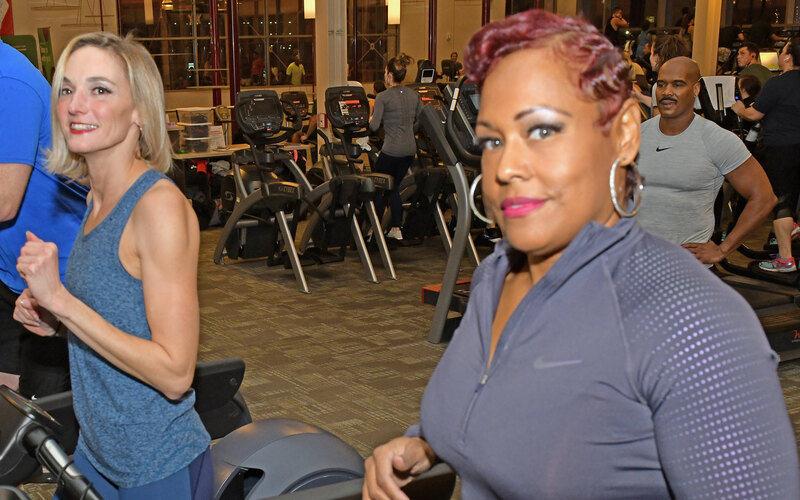 Whether it’s a group of people you meet at the fitness center or coworkers, having friends to workout with as well as supply the motivation you need on days when you don’t feel like exercising will give you that nudge in the right direction. Montgomery suggests remembering the 21-day rule when it comes to exercising: it takes 21 days to make or break a habit. Eventually, exercise will be part of your normal routine.